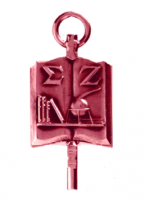 The Sigma Zeta key symbolizes your opportunity to unlock the doors which lead to "Truth." 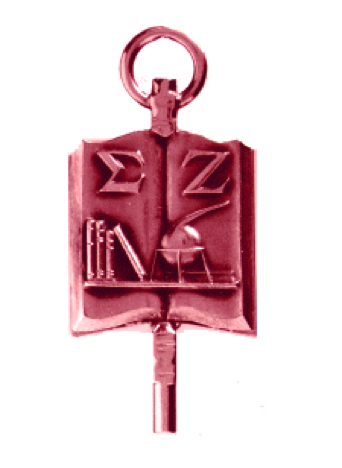 The form of the key seems to suggest the open book of nature, the source of all scientific learning. A book is open to indicate that no knowledge is closed to anyone who diligently seeks it. The closed books represent accumulated scientific knowledge, to be studied as a record of the past and as a guide to the future. The three volumes standing together illustrate the division of science into the life sciences, the earth sciences, and the physical sciences. The fourth volume, supporting the others, is symbolic of mathematics, the foundation and basis of science. The retort and tripod are symbols of an ancient process by which pure substances were separated from their impurities. To us, they typify the experimental methods in our various fields. The flame used to heat the retort represents the motivational forces of science that direct and inspire scientific achievement. Also, the books and retort stand for two great sources of scientific advancement—first, a study and knowledge of man's accomplishments up to this time; and second, further experimentation with sources of new "Truth." 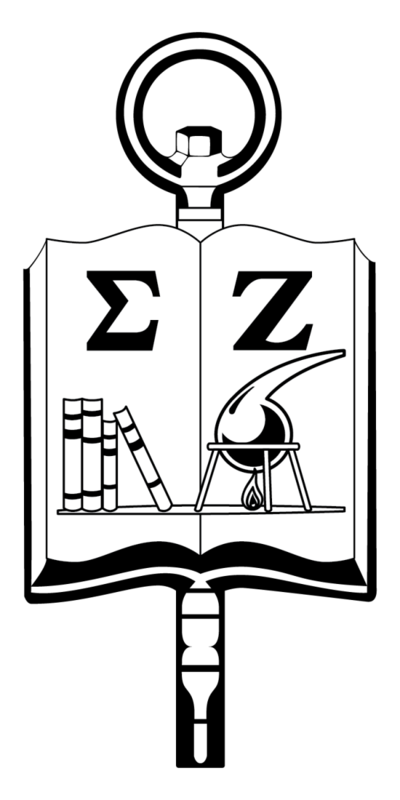 The Greek letters, SIGMA and ZETA, designate both the Society and its motto: "SEEK DILIGENTLY TOGETHER FOR TRUTH." Right-click on the download link to download the original image.